Owners and handlers of active working animals can register for free eye exams at IndyVet Emergency & Specialty Hospital, on Indys southeast side, from April 1-30 as part of the American College of Veterinary Ophthalmologists (ACVO) 7th annual National Service Animal Eye Exam event taking place during the month of May. 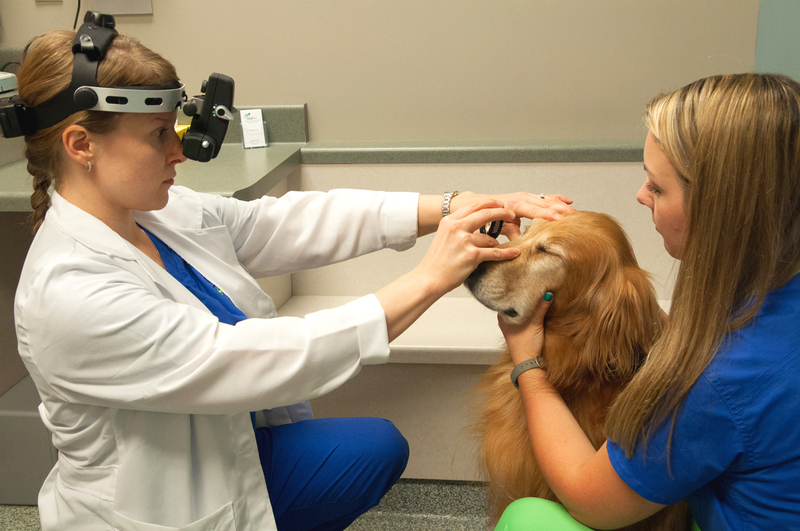 Dr. Heidi Klein, DVM, DACVO, IndyVets chief ophthalmologist, will join more than 250 board-certified veterinary ophthalmologists throughout the U.S., Canada and Puerto Rico in donating their time and resources to provide complimentary eye exam screenings to thousands of eligible service animals. Dogs eligible for sight-saving screenings include the following: guide, handicapped assistance, detection, military, search and rescue, and registered therapy canines. To qualify, animals must be certified by a formal training program or organization, or currently enrolled in a formal training program, which can be national, regional or local in nature. During the exam, Dr. Klein will utilize specialized ophthalmic equipment to look for problems including: redness, corneal changes, retinal disease, early cataracts and other serious abnormalities. Early detection helps ensure that these working dogs can continue to work effectively, she added. Service animal(s) owners and handlers must register online at www.ACVOeyeexam.org before the event starts in May. Once registered online, the owner/handler can call IndyVet at 782.4484 and use the registration number to schedule an appointment with IndyVet. Appointments will be scheduled on a first-come, first-served basis. IndyVet is located at 5425 Victory Drive, just south and east of the I-465 & South Emerson Avenue interchange. 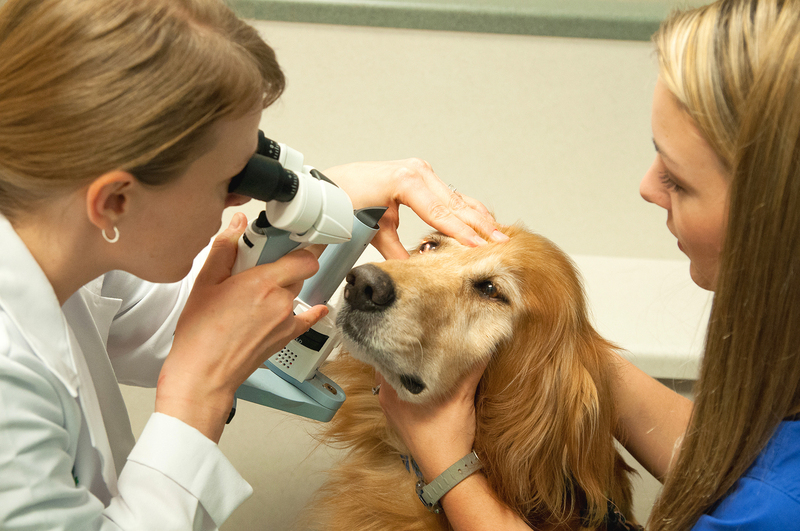 IndyVet Emergency & Specialty Hospital, formerly Indianapolis Veterinary Emergency Center (IVEC) and Indianapolis Veterinary Referral (IVR), is a 24-hour specialty practice offering emergency, internal medicine, surgery and ophthalmology services. The 22,000-square-foot state-of-the-art facility is well known for its PET-E-911 emergency phone line, the Midwests first Canine & Feline Blood Donor Program and Indianas first feline kidney transplant. It is located at 5425 Victory Drive, just south and east of the I-465 & South Emerson Avenue interchange. For more information, log on www.IndyVet.com.